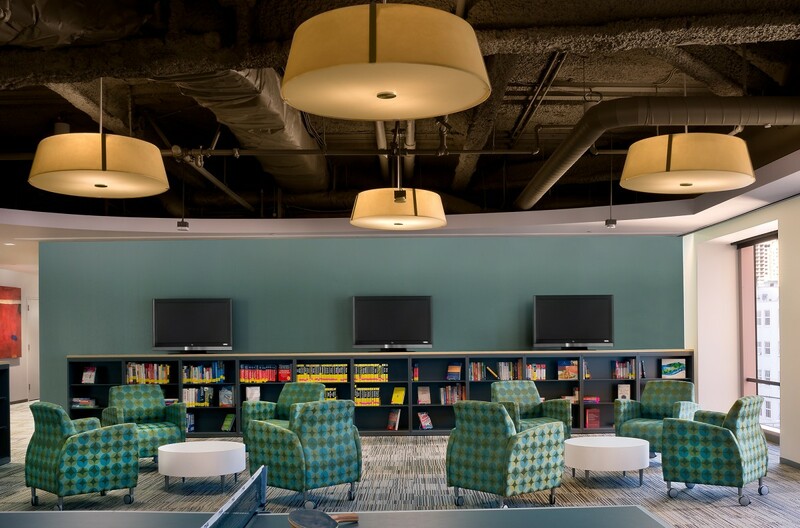 A book publisher opens a new chapter with spaces for quiet work and an interaction zone complete with a game room, yoga studio, and – naturally – a library. 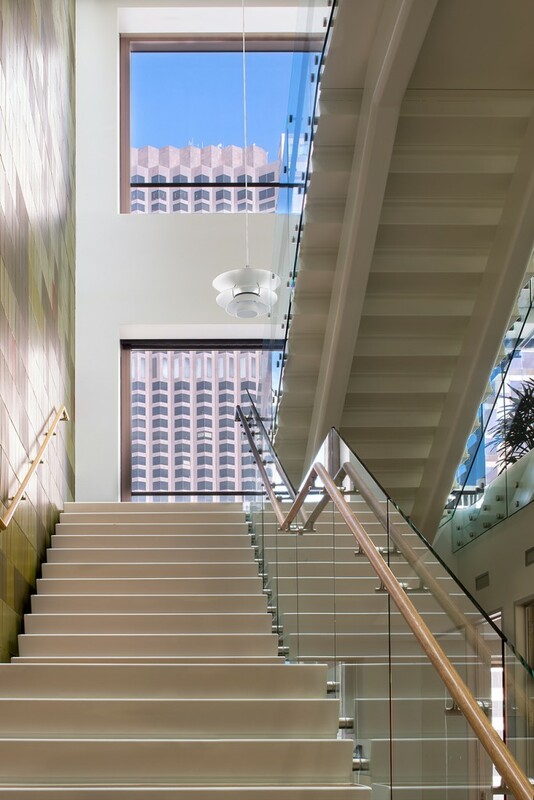 John Wiley & Sons publishes scientific, professional, and educational books – including the works of more than 450 Nobel laureates. 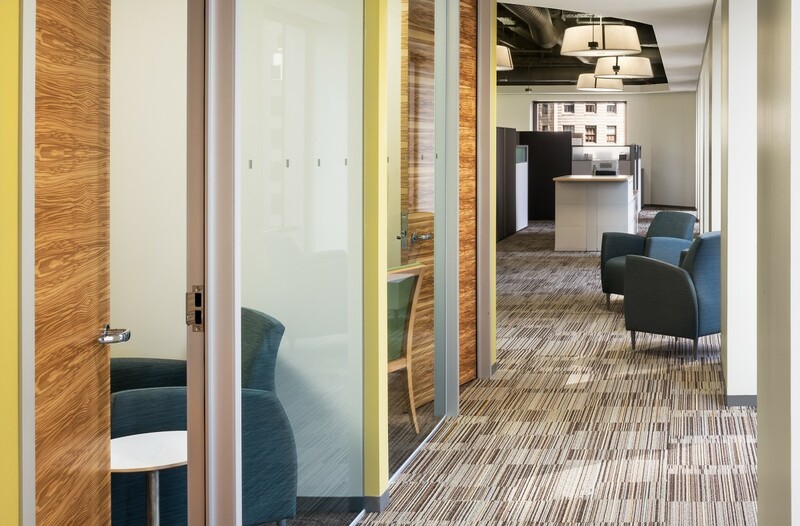 Getting all these complex ideas into print involves intense collaboration, quiet heads-down editing and research, and lots of brainstorming. 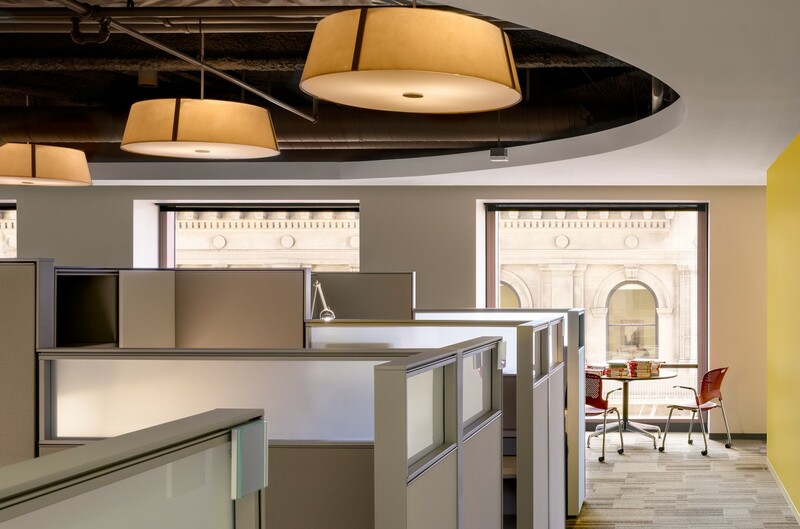 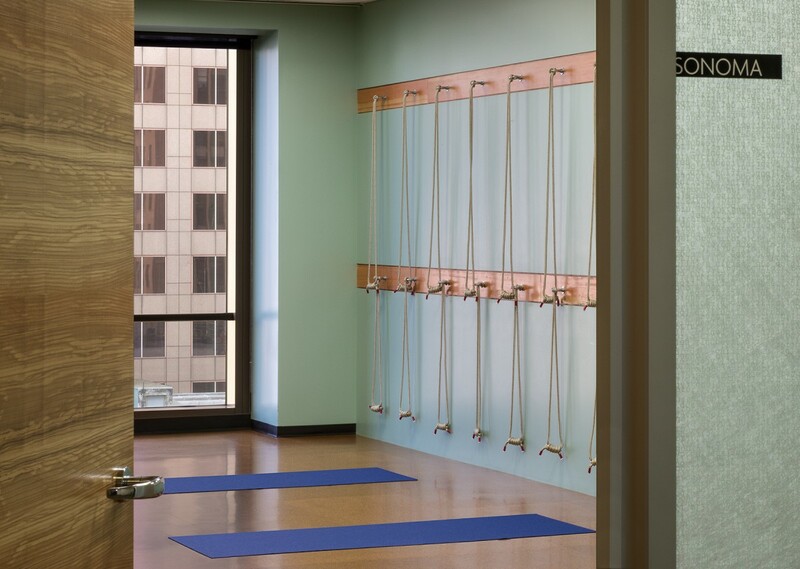 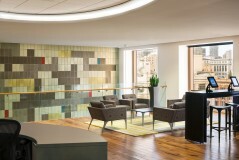 For Wiley’s new 46,278-square-foot, three-floor offices at One Montgomery, RMW designed a variety of work settings in an environment that grounds Wiley’s intellectual work with earthy, organic colors and textures. 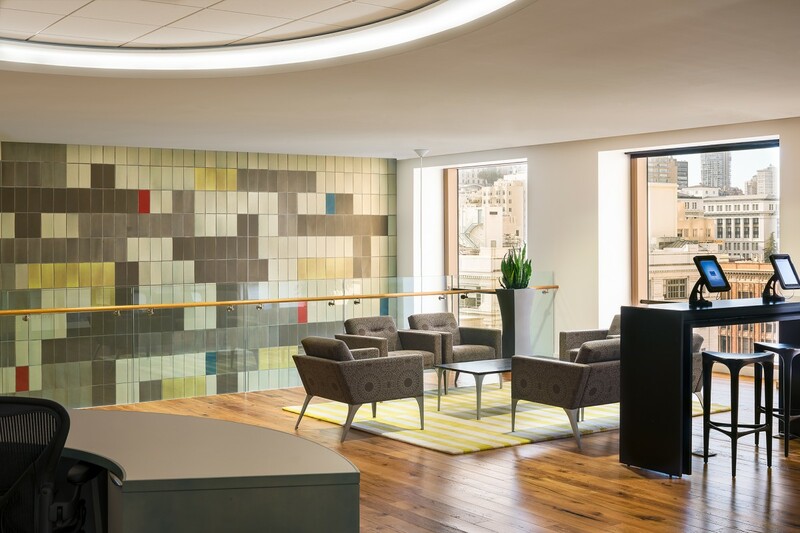 Finishes include warm grays with chartreuse and aqua accents, handmade Heath tiles, Chilewich floor and wall coverings, and custom metal cut-outs. 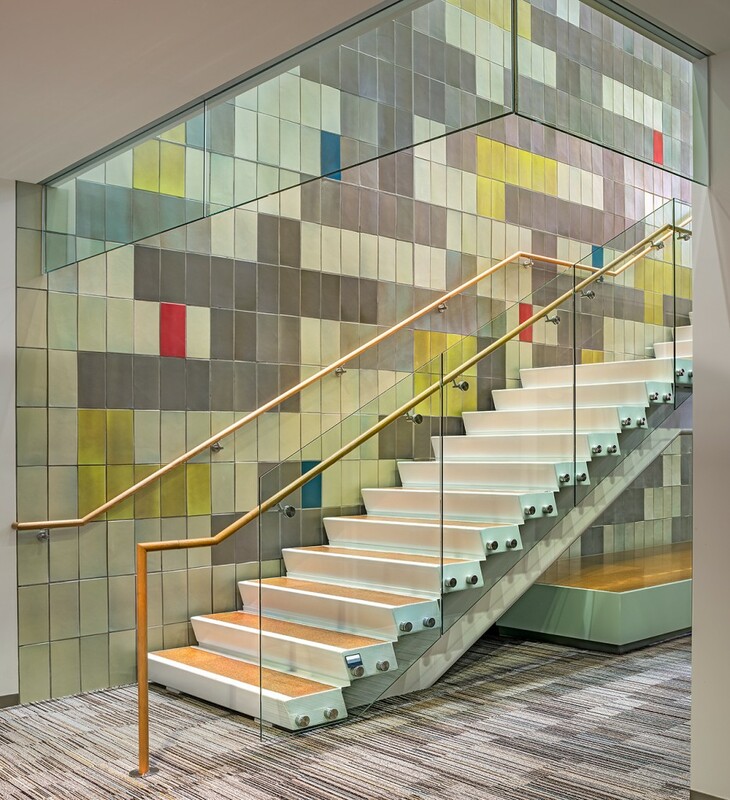 An inviting atrium staircase provides a focal point, pulling light into the interiors and encouraging Wiley’s employees to walk instead of take the elevator. The design solution places small meeting rooms and a yoga studio at the foot of the stairwell, turning it into even more of an interaction zone. 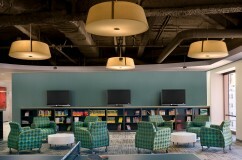 A library and game room, as well as a 50-seat cafeteria, also provide places for spontaneous meet-ups.